I really enjoyed THE SHADOW QUEEN. 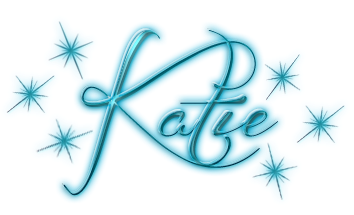 I'm not typically a fan of retellings, fairy tales made modern or changed never really were my thing. Too much of a been there, done that feeling for my tastes. And to be honest, Snow White even in the original form never was my favorite But the cover on this one completely hooked me in, so I gave it a try, and I'm so glad I did. It's Snow White, but it's really not. In fact, I think a lot of why I enjoyed this book so much is that it was far more "not" Snow White. Aside from just a few similarities, THE SHADOW QUEEN is fully its own story. Add that to the fully fleshed and intriguing cast of characters, and I was hooked from the start. Lorelai is strong and fierce and yet very vulnerable as well. So much of this book was about her journey towards confidence and believing herself and powers. She faces so many trials and persevered through every single one, and I thoroughly enjoyed cheering her on the entire way. Then you have Kol who has similar confidence issues, but in a very different way. The two made for an interesting pair especially when you consider certain obstacles that were placed between them. But I really enjoyed how neither was over the moon instalove swoon for the other, but kept their heads and always remembered their duties. They are both to be the leaders of their countries, and I really felt their attitudes matched that. So many times once a love interest is involved everyone always seems to lose their heads, and it was a refreshing change of pace here to not have that happen. That being said, while I enjoyed this book, it did have a few pacing issues that kept me from giving a five star rating. Some things that I felt could have used a bit more focus due to their importance/intensity were very rushed through. While in reverse, some things that I felt were less important seemed to drag a bit longer than necessary. For example, there's a pretty big loss relatively early on that seemed to happen in a blink. While I felt like I should have been devastated alongside the characters, I just wasn't due to how fast things happened and then moved on. Almost more of a telling rather than showing me the character's devastation. And then in reverse, there's several inner struggles that different characters go through that seem to drag on, and become a bit repetitive by the end. There's other examples of course, but I'll stay vague to avoid spoilers. 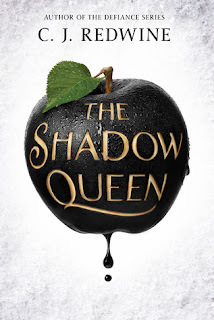 All in all, THE SHADOW QUEEN has made me think I might be a fan of retellings after all. From the characters, to the world building in a familiar yet different story, I was hooked from the start. While things wrapped up well in this book, and the story could end here, things were left just open enough to continue, and I can't wait to see what's next.